The idea of the In and Out Martini is to drink straight, chilled gin in a well-chilled glass with just a hint of dry vermouth. This is done by rinsing the glass with vermouth and it's a great option for drinkers who prefer their Martinis "bone dry" or if you have a really good gin to show off. As with any of the dry gin Martinis, I do suggest that you choose a premium gin because it will show if a lower quality gin is used. Pack a cocktail glass with ice. Add a splash of dry vermouth and swirl it around the glass. 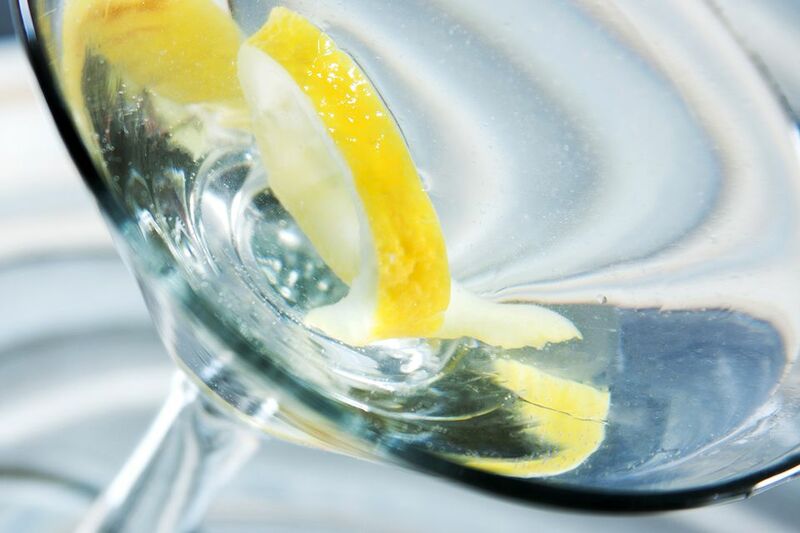 While the glass is chilling, pour the gin into a mixing glass with ice and stir. Throw away the ice and vermouth. Strain the gin into the prepared cocktail glass. How Strong is the In & Out Martini? As with any cocktail that is made entirely of liquor, this is not a light drink. In fact, it is stronger than the dry Martini because there's very little vermouth in it to weigh down the gin. If we make the In & Out Martini with the average 80-proof gin, it would have an alcohol content of around 34 percent ABV (68 proof). That is slightly below bottling strength.